The finishing touches are often what help a dancer feel fully in character as she prepares to step on stage. These finishing touches could include hair style, footwear, jewelry, and other accessories. The instructions on this page describe how to make a headband that is suitable for wearing with the short, ruffled dress that many dancers choose to wear for dancing with a melaya (wrap). Although some people choose to wear the pompom head scarves that are available from many vendors who import costume items from Egypt, those actually aren't intended for the melaya leff ensemble. 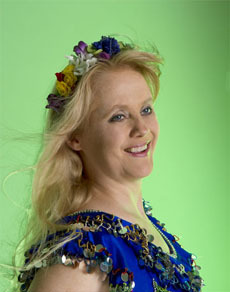 Instead, those are intended for a fellahin ensemble. The original Egyptian headdress is made with fabric flowers sewn onto a fabric headband. The instructions on this page offer a non-sewing alternative that is easy to make and resembles the look closely enough to serve theatrical purposes. 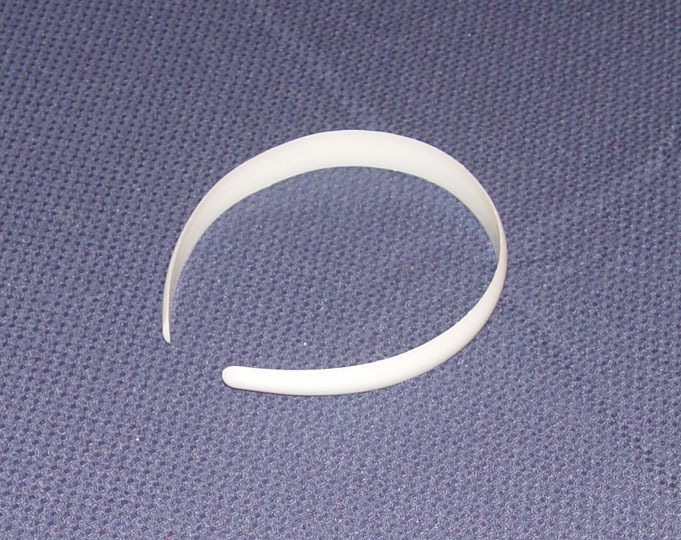 Allow at least a week to make the headband, with a few minutes spent working on it each day. Silk flowers in colors that will look attractive with the costume dress. They may either be all one color, or they may be in a variety of colors. Flowers should be small, no larger than an inch in size. Place newspapers over the work area to protect it. 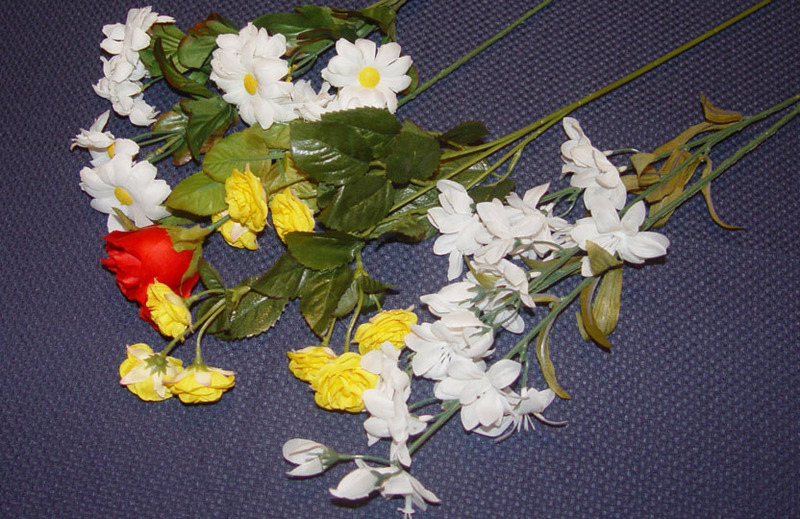 Make decisions about where on the headband to place each type and color of flower. Remember that as you dance the headband will be seen from all angles, so plan to place some flowers facing the front and some facing the back. Select the flowers you intend to place at the top center of the headband. Use the wire cutters to clip the blossoms off of their stems. Glue the flowers into place. 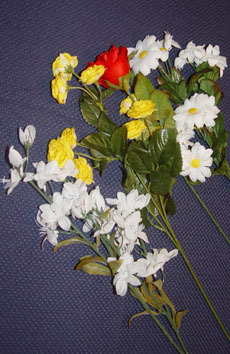 Prop the headband against a box or book so that the flowers won't slide out of position while the glue is wet. Let the headdress sit undisturbed for several hours to give the glue time to dry. Come back later after the glue has dried to add more flowers. 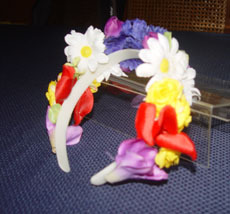 Again, prop the headband to prevent the flowers from sliding out of place while the glue is wet. Continue this process over the course of a week until all flowers have been glued into position. 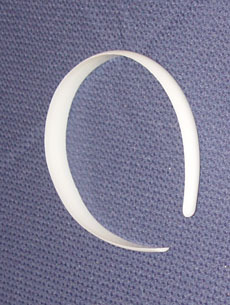 As you work, keep checking the headband from both front and back to ensure that it will look attractive from all angles. The finished headband will be fragile. Store it in a plastic bag, then place the plastic bag inside a rigid box to protect it.